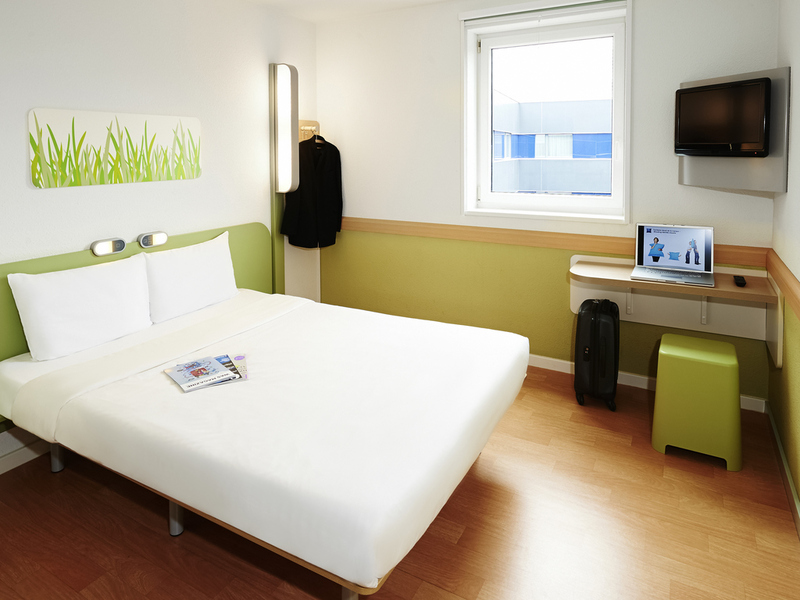 The ibis budget Cergy, is located in the business district, 0.6 miles (1 km) from the RER A Cergy St Christophe station, 21.8 miles (35 km) from Paris, less than 40 min from CDG and Orly airports and the Villepinte and Bourget exhibition centers. The hotel is entirely renovated with beautiful Cocoon design rooms with shower, toilet, and TV for a very affordable price. Delicious breakfast available at a great price! Free WIFI in all rooms, free secure car park, nearby restaurant.